After a hugely successful first year with 4,000 attendees in 2017, Cincinnati Coffee Festival returns to Cincinnati Music Hall! Cincinnati Coffee Festival is happening this Friday Nov 9 from 1 – 6 p.m., Saturday Nov 10 from 10 a.m. – 5 p.m. and Sunday Nov 11 from 11 a.m. – 4 p.m. at Cincinnati Music Hall (1241 Elm St. Cincinnati). Local and regional coffee roasters, coffee and tea shops, bakers, pastry shops and chocolatiers will sample their wares to the public on Saturday, Nov. 10 and Sunday, Nov. 11, and attendees can then buy their favorites to take home. Coffee-related demonstrations and live music will add to the fun. New this year is a Trade Day Friday, Nov 9 for coffee shop owners, baristas and those interested in getting into the coffee business. Learn about topics ranging from curating a tea menu to building a team. A list of workshops is available at www.cincinnaticoffeefestival.com/schedule/trade-day-events/. Trade Day admission is $10. General admission tickets are $12.50 in advance and $15 at the door. VIP tickets are $20 in advance and $25 at the door. VIP GOLD tickets are $35 in advance and $40 at the door. Purchase your tickets today at https://www.cincinnaticoffeefestival.com/. 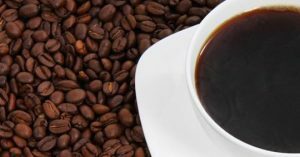 Don’t miss this year’s Cincinnati Coffee Festival!